Saturdays, noon to 1 p.m. ET on WICR 88.7 FM. Or listen live from anywhere on WICR Online! How often are two statues erected in honor of the same person in one year? That's what happened in 2012 with the legacy of Martinsville native Johnny Wooden, often cited as the best college basketball coach in history. The first statue of Wooden (who died in 2010 just a few months before his 100th birthday) is a bronze sculpture near Bankers Life Fieldhouse in downtown Indy. The other is outside Pauley Pavilion at UCLA, where Wooden coached the Bruins to 10 NCAA championships in 12 years, one of the most astounding dynasties in all of sports. Far beyond sports, Wooden became known as a motivator and folk philosopher because of his "Pyramid of Success," used as a blueprint by thousands of Americans. 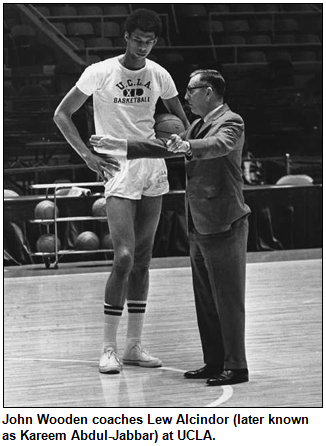 Before all of that, Wooden was an outstanding basketball player at Martinsville High School and at Purdue University. In fact, he became the first person named to the Naismith Memorial Basketball Hall of Fame as both a player and a coach. 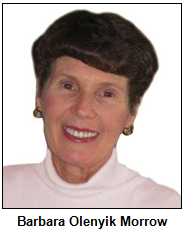 Barbara Olenyik Morrow, the author of a new book, Hardwood Glory: A Life of John Wooden (Indiana Historical Society Press) that explores his Hoosier roots. 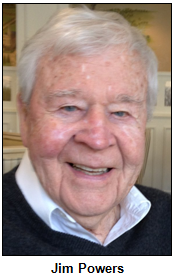 Jim Powers, a retired coach in South Bend who, as a star player during the 1940s, was coached both in high school (South Bend Central High School) and college (Indiana State University) by Wooden. Coach Powers, who is 89, has been inducted into the Indiana Basketball Hall of Fame. 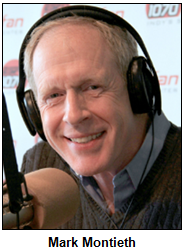 And Mark Montieth, a former sportswriter for The Indianapolis Star who hosts "One on One," a popular radio show featuring sports legends, on 1070/107.5 WFNI. "The respect his former players had for him was unprecedented, in my opinion," Mark says about Wooden, whom he interviewed. In addition to hosting his radio show, Mark writes for pacers.com. Our guest Barb Morrow, who is based in the northeastern Indiana town of Auburn, has interviewed Wooden's daughter, in addition to former players and others who knew the Hoosier icon. In her book, she explores how Wooden's long life intersected with those of other famous Hoosiers - from John Dillinger to former IU coach Branch McCracken - as well as the social history that unfolded during his era. For example, she explores Wooden's progressive views on race relations, including his decision in 1948 while coaching at Indiana State (then known as Indiana State Teachers College) to play Clarence Walker, an African-American from East Chicago, in a post-season tournament. She calls that "a history-making move that paved the way for other blacks to play in national tournaments." During our show, we also will clarify some misconceptions about Wooden's life, as well as explore little-known or often-overlooked episodes. Regarding the latter, our guest Mark Montieth points out that Wooden's pro career as a player often has been neglected in discussions of his life. After graduating from Purdue, Wooden played for the first truly pro team in Indianapolis, the Kautskys, during the 1930s. Our guest Jim Powers, who says, "I am so proud to have been one of his 'boys'," cites as a favorite saying associated with his mentor: "Make each day your masterpiece." A sampling of other homespun wisdom Wooden passed along to the world included: "Make friendship a fine art" and "Build a shelter against a rainy day." Wooden credited those nuggets to a seven-point creed that his father wrote on a crisp white card that Wooden carried in his wallet daily. In turn, his "Pyramid of Success" features "bricks" at the base of the pyramid such as "Industriousness" and "Enthusiasm"; they are topped by "Faith" and "Patience," among other qualities. The future motivational icon grew up in a Morgan County farmhouse without electricity or indoor plumbing. During his high school years, his father quit farming because of financial pressures. From those humble beginnings, John Wooden went on to coach UCLA not only to 10 championships, but to a history-making winning streak that lasted 88 games. The streak ended in 1974, one year before Wooden's retirement as coach. His roster of players during his UCLA heyday included future pro superstars Lew Alcindor (who later became Kareem Abdul-Jabbar) and Bill Walton, who clashed with Wooden over the length of his hair - but who always respected the coach and expressed appreciation in later years for what he taught on and off the basketball court. 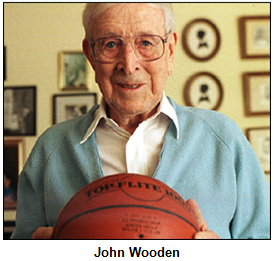 Among those in subsequent generations who say they were influenced by Wooden's techniques is the native Hoosier now serving as UCLA's coach. Steve Alford, the former New Castle and IU star player, has written the foreword to Hardwood Glory. Pioneers of the Hardwood, by Todd Gould. Hoosiers who played for Coach Johnny Wooden's championship teams at UCLA included a South Bend native who later became a popular TV actor. Born in South Bend in 1946, he was an outstanding player at South Bend Central High School, where he was coached by our guest Jim Powers. From 1966 to 1968, he played for Wooden at UCLA, where his teammates included Lew Alcindor (later known as Kareem Abdul-Jabbar). During the years he played for UCLA, the Bruins won two NCAA national championships. As a TV actor, the South Bend native is best remembered for his role as a police officer in a critically acclaimed TV series during the 1980s. He was nominated for an Emmy Award for his role in the program; it was known for intertwined story lines, some of which continued over several episodes, then unusual for a TV series. Question: Who is the basketball star-turned-TV actor from South Bend? 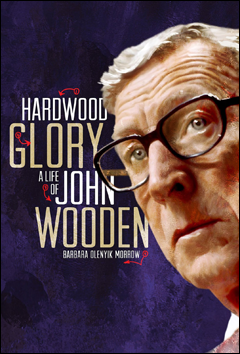 The prize pack includes a signed copy of the book the book Hardwood Glory: A Life of John Wooden, courtesy of author Barb Olenyik Morrow, and four passes to the NCAA Hall of Champions and four passes to the Indiana History Center, courtesy of Visit Indy. 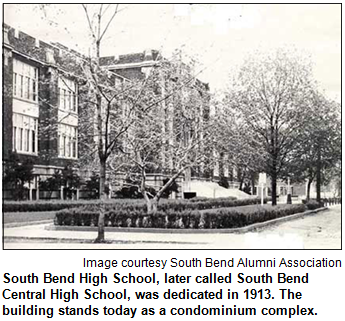 Guest Roadtripper Suzanne Stanis of Indiana Landmarks suggests a trip to Martinsville in Morgan County to see what was billed in 1924 as "The Biggest Gym in the World." 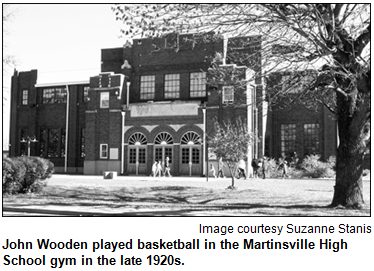 With more than 5,000 seats, the gym could handle the entire population of Martinsville, which numbered 4,895 in 1920 - with room to spare. The Artesians' enormous home went on to be dwarfed by other gyms, including the 9,000-plus-seat New Castle Field House and the 8,000-plus-seat Anderson Wigwam, but the Martinsville shrine to Hoosier Hysteria remains. Today the Glenn Curtis Memorial Gym, named in honor of the Martinsville High School coach who brought home three state basketball championships, is part of West Middle School. Acknowledgments to Monomedia, Visit Indy, WICR-FM, Fraizer Designs, Heritage Photo & Research Services, Derrick Lowhorn and many other individuals and organizations. We are an independently produced program and are self-supporting through organizational sponsorships and individual contributions. We do not receive any government funding. Visit our website to learn how you can support us financially. Also, see our Twitter feed and our Facebook page for regular updates. In Indiana today, you won't find places called the "Home for Friendless Women" or agencies known as "benevolent societies." Those were some of the ways, though, that outreach was handled with families, children and other Hoosiers in need more than a century ago. During the Civil War, some early social service organizations focused on helping widows and children of soldiers, whose deaths often left their families destitute. To explore the evolution of outreach to Hoosiers in need, Nelson will be joined in studio by guests from organizations whose heritage stretches back more than 100 years. Their names have changed - sometimes several times - as their approach to outreach has evolved. Families First, a nonprofit that is generally considered to be the oldest social service agency in the state, traces its founding to Thanksgiving Day in 1835. That's when a group of early Indianapolis movers and shakers, including attorney/banker Calvin Fletcher and civic leader James Blake, met to share ideas about helping families who were poverty-stricken because of a lack of jobs at the city's earliest factories and mills. 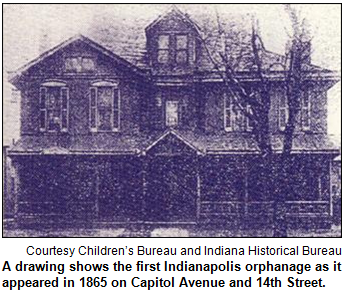 The civic leaders established the Indianapolis Benevolent Society, which, following various names changes in the nearly 180 years since then, is now known as Families First. Our guests will include Edie Olson, the current president and CEO of the Families First, an agency that now offers services ranging from family counseling to domestic-violence treatment and parent-education classes. She will share insights about the evolution of social outreach in central Indiana. So will Tina Cloer, president and CEO of the Children's Bureau. It began in 1851 as the Widows and Orphans Friends' Society, spinning off from the Benevolent Society. In 1880, according to a history of the Children's Bureau, "Across the state 700 children (were) living in county 'poor asylums,' a situation that many recognize as totally unacceptable." To help, the organization had founded an orphanage, now long closed. Today, the Children's Bureau offers a range of services, including an adoption recruitment program for families involved in the state's foster-care system. © 2014 Hoosier History Live! All rights reserved.